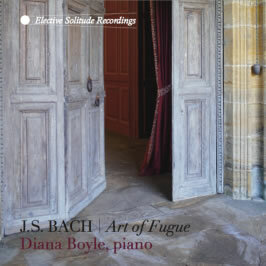 Miss Boyle is an excellent pianist, possessor of infallible technique, beautiful sound, impeccable taste and musicianship... All of her performances are very, very enjoyable and on a high artistic level. For me, playing the piano has always been a very private communication between what I am imagining in my mind and hearing in my inner ear, with the desire to transmit those thoughts to a musical sound world and understanding at the keyboard. This pleads for long periods of silence, solitude and reflection. 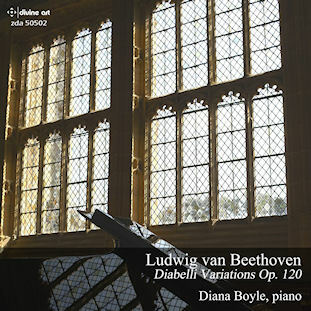 All my recordings have been made in a venue peaceful and quiet. For my ears only if I so choose. One might say that the making of these recordings has been, and will continue to be, an entirely personal experiment in my relationship to the music that absorbs every day of my life. 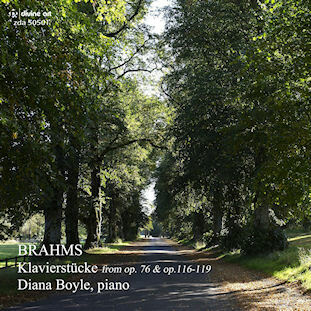 "Diana Boyle breathes fresh life into these sonatas… always supremely musical… this pianist's phrasing, use of dynamics and varied tempi revealing so many lovely facets. These fine performances take a welcome place on my shelves. 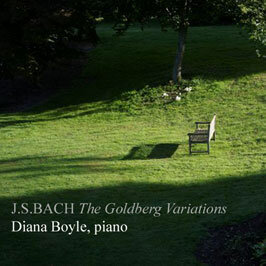 She receives an excellent recording full of detail and presence, with her piano tone perfectly caught. 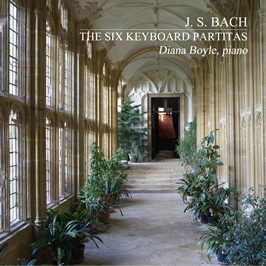 There are notes in the form of an interview with the pianist." "I think this is a compelling - absolutely compelling - performance. 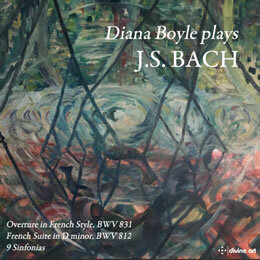 Like an experienced teacher guiding one to see previously unnoticed ideas and details, or symmetries and asymmetries in a complex piece of architecture, Diana Boyle helps the listener understand intellectually and feel emotionally the intense life within one of Bach's most thoughtful and astringent pieces of writing." 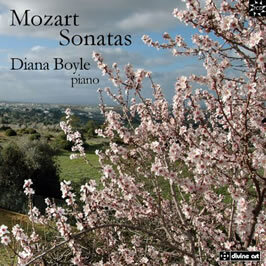 "Ms Boyle produces some very beautiful sounds and textures, and her speeds are well chosen. 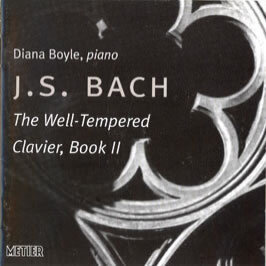 I cannot deny the beauty and character that is given to the music - rather than extracted from it. At the right time and in the right mood you may find this irresistible – I can see it becoming a cult version in some circles."